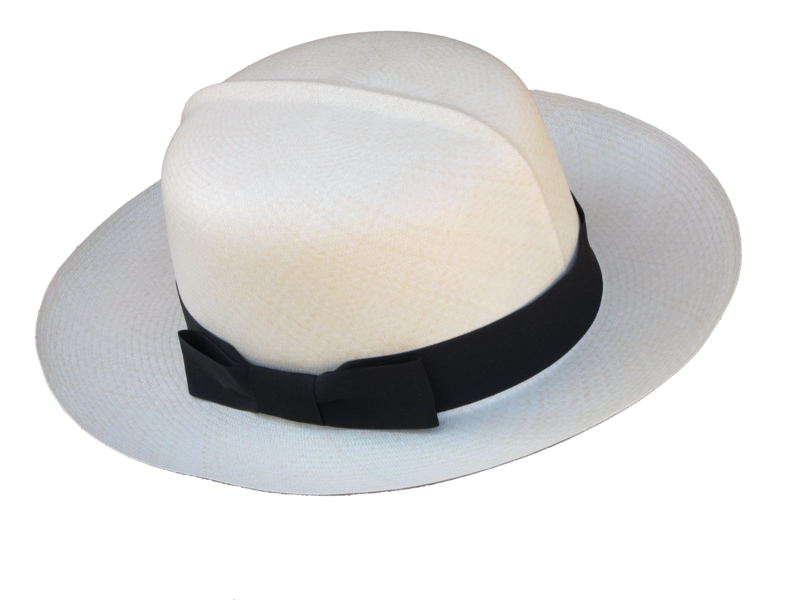 The Colonial Hat in british style. The round shape and the line mark in the middle remind inevitably of the colonial times. 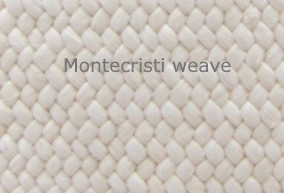 The sun-pleasure with individual style..
Fineness of the weave: Superfino, finely woven - approx. 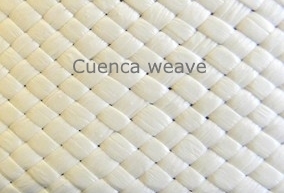 24 weaves per inch. For the manufacture of this hat our weaver needed about 3 months. After we have received your order, we will require 1 - 3 days to iron and block the hat body. Finally we sew in the ribbon and the sweatband by hand. 1 or 2 additional days may be required for an extra smaller or wider brim and for less common sizes (55 or 61 to 63). For that, we have to find the right hat body and enlarge or reduce the brim. 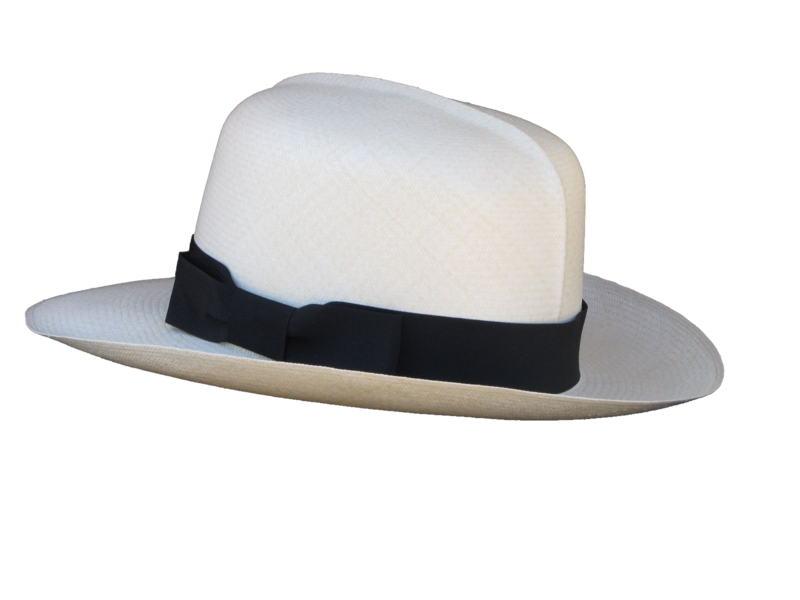 What is special about our genuine Panama hats? 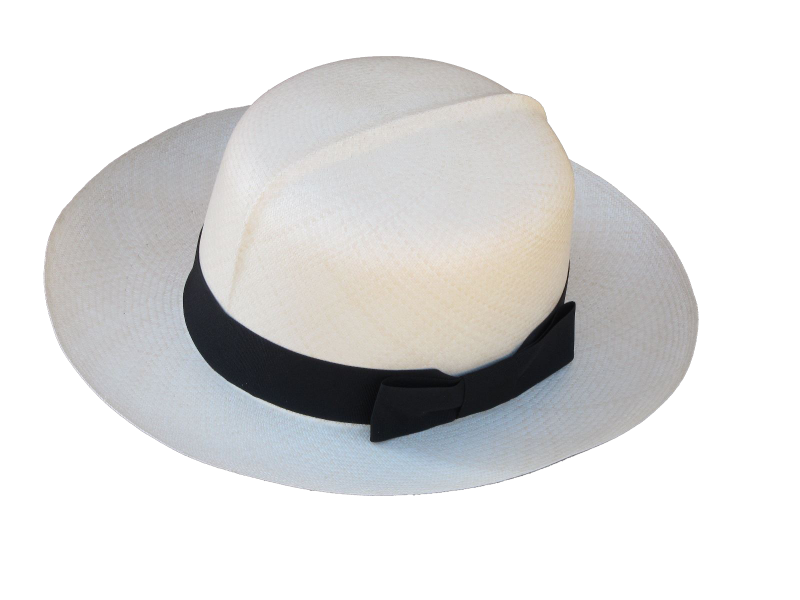 Once we receive your order, our hatmaker in Montecristi selects the right hat body. Then the hat body is steamed, blocked and finally the desired hat band is attached. 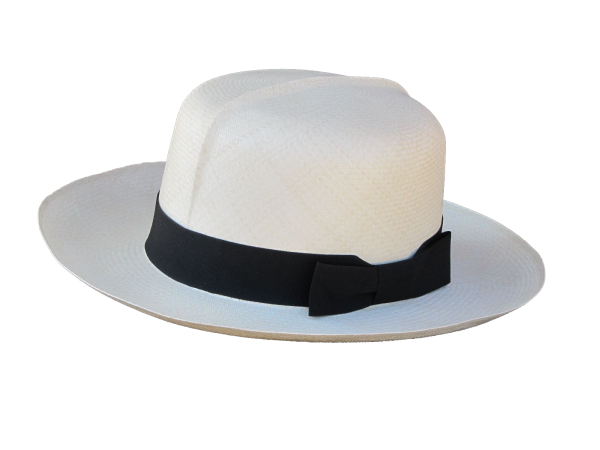 Our finest Panama hats are not stored for long time. Therefore, you can feel the difference - the hats are smoother and more flexible. 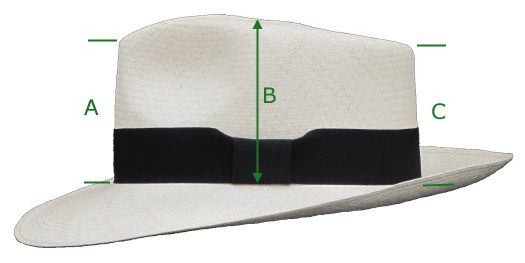 To determine your hat size, measure the circumference around your head with a tape measure about a half-inch above your eyebrows where your hat will rest. If you don't have a tape measure, determine use a string and measure the length with a flat ruler. If your measurement falls between sizes, please choose the next largest size. Now you have your hat size. You can use PayPal to pay your invoice easily and securely. To be able to use PayPal, the customer needs to have a PayPal account. Users can entrust their bank or credit card details to this account, so that these do not have to be provided for every purchase. Using PayPal, the customer can pay easily, by giving their email address and password. The amount will be charged directly to his or her account, and he or she will be sent an order confirmation by email. If you do not have a PayPal account, you can pay as a PayPal guest with your credit card (VISA, MasterCard or American Express) or bank account. Your bank- and creditcard-data is safely secured at PayPal and will not be given out to third parties. You have the opcion to transfer the payment in advance. If you want to pay by bank transfer you will receive an order confirmation from us incluiding the details of our bank account. The hat you order will be shipped within 3 days from receipt of payment. Your order will be sent via DHL-Express Worldwide. The delivery time usually lasts 1 - 3 days according to the delivery location. Once your order is shipped, you will receive a confirmation E-mail that includes your shipment tracking number, which allows you to track the status of your delivery at all times online. We send by DHL-Express Worldwide. New! To the USA free for charge!